SOCCER – ROYAL Leopard’s coach Edwin Matsebula has hailed the goal-scoring prowess of striker Barry Steenkamp. Steenkamp was out injured for about six weeks before returning to the team recently. 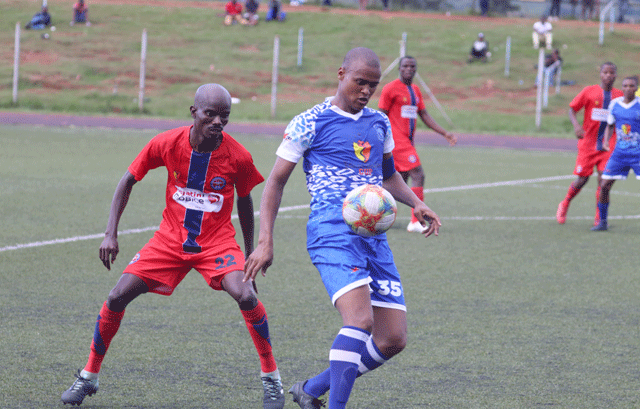 He has scored three goals in three matches for Leopard, and most of his goals have been crucial for the team’s run to the finals of the EswatiniBank Cup. Speaking after the striker’s solitary goal handed Leopard victory over Green Mamba FC to transport them to the finals, Matsebula said Barry’s form was testimony to hard work and dedication. He said there were times in matches, where senior players have to take responsibility and guide the team to success, which the striker had done to good effect. “He has stamped his authority in a significant way for us. “His goals have helped us a lot, and this is what we expect from senior players like him,” he said. Asked what differentiated Barry from Cameroonian striker Charles Edoa-Nga, who had also done well in Barry’s absence, Matsebula said these were two different players, who provided the team with distinct qualities. Barry thanked supporters for rallying behind the team. He said he was glad to score goals, putting it precisely to luck. “It just happens that everything I try comes out perfect. “Anything is possible in the final, and I am positive we can win the game,” he said.